HP advertises its HP Spectre x360 with Fingerprint Reader in a new commercial, showing how a kid gets what he wants using this feature. 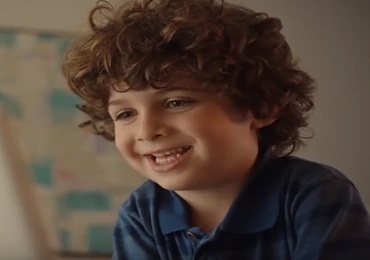 The spot, titled “Reinvent Passwords,” features a little boy sneaking around his mother, who’s on the couch, pretending to sleep, and taking her arm to use her ring finger to unlock her HP laptop and watch cartoons. The HP Spectre x360 is available in 15.6″ and 13.6″ versions, in Dark Ash Silver with Copper Luxe accents. Its 8th Gen Quad-Core Intel Processor with Radeon RX Vega M Graphics is able to multitask between the most demanding video and photo editing software and everyday tasks. With up to 16 hours of battery life with Fast Charge, you can work, watch more, and spend more of your time totally untethered. The 3840×2160 resolution 4K micro-edge display, made of corning gorilla glass for a more durable protection than most displays, with 8.2 million pixels, delivers your content in jaw-dropping quality with true-to-life definition. In terms of audio, the HP Spectre x360 boasts HP Quad Speakers,12 HP Audio Boost, and custom tuning by the experts at Bang & Olufsen, which make the entertainment come to life with sound you can feel. Both the 13.6″ and 15.6″ models are now available for purchase at prices starting from $859.99.